The Fertilizer Spreader ensures maximum return on fertilizer investment. It spreads evenly and control the quantity according to requirement without any wastage. Quantity of fertilizer spread can be easily controlled from tractor seat. 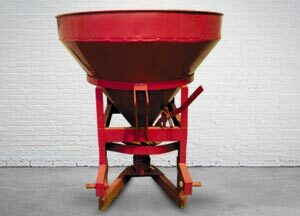 Besides fertilizer, it can be used for broadcasting seed and granular chemicals with same efficiency.